Edited by Branislav Baškot . This book brings together contributions from around the world, investigators who are clinical versus imaging science in their orientation, and representatives from academic medical centers and the imaging industry. Each article is written to be accessible to those with a basic knowledge of coronary imaging but also to be stimulating and educational to those who are experts and investigators in medical imaging. This book covers where advances have been dramatic in the past two decades and shows the major contributions of the imaging scientists and engineers from both academia and industry. Patients with know or suspected coronary artery disease who are asymptomatic or who have stable symptoms are often evaluated noninvasive. Functional test, such as stress electrocardiography, stress echocardiography, and stress nuclear perfusion imaging, detect and quantity the presence of ischemia based on electrical, mechanical, or perfusion abnormalities, indirectly, but nuclear perfusion imaging directly, establishing the burden of coronary artery disease. Multidetector CT (MDCT) has emerged as a tool to evaluate noninvasive the coronary anatomy. MDCT has overcome many of its original limitations and now provides ECG-gated acquisition with short acquisition time, sub millimeter spatial resolution, allowing excellent visualization of the coronary arteries. Over the last 15 years, the rate of technologic advancements leading to improved coronary angiography with MDCT has rapidly exceeded those of other cardiac imaging modalities. Image quality is undergoing constant refinement, and the number of uninterpretable coronary studies has gradually decreased from 20%-40% using for detector, to 15% - 25% with 16- detector, and is now as low as 3% to 10% with 64-detector systems. But this section is also devoted to the current state of myocardial perfusion imaging (MPI). MPI is well establishment imaging techniques and is already integral part of the management of coronary artery disease (CAD), and is included in a number of professional guidelines. 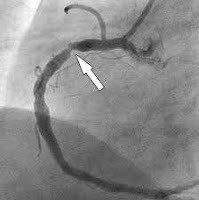 Coronary angiography, considered the “gold standard” for the diagnosis of CAD, often does not provide information about the functional significance of coronary stenosis, especially in borderline lesions. Andres Gruentzig said; when coronary angiography founded coronary narrowing, I would like to have some kind of diagnostic procedure who gives me functional significance that lesion. MPI is very important diagnostic tool for the diagnosis culprit lesions, and indicating who patients have for cardiovascular intervention (PCI or ACBP). The predominant theme is that MPI finding can serve as the gatekeeper for more costly and more risky invasive strategies in the evaluation and treatment of patients with coronary artery disease. The book Coronary Angiography – Advances in Noninvasive Imaging Approach for Evaluation of Coronary Artery Disease includes a series of articles that provide a stateof‐ the‐art summary of the current clinical applications of cardiac CT, reviews data that support the accuracy and the prognostic use of CT coronary angiography and reports of the newest technological advances and promising future applications of these imaging modalities. Its also provide other diagnostic approach like functional test, which finding helps to make decision about invasive strategies with best benefit for patients. Finally, the next decades should see even greater advances in the field, and such breakthroughs will be instrumental in further enhancing the information that can be derived from functional testing for the assessment of myocardial blood flow, cardiac function, and myocardial viability. Readers of Coronary Angiography will enjoy in this book and will find the information and expert opinions very useful to their clinical practice.